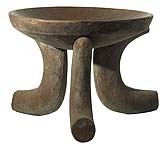 The stools below have been sold and are left here for educational and research purposes. 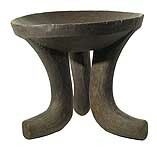 Probably from the Galla people of Ethiopia, these stools are simple but elegant, and are noted for their smooth, concave surfaces. 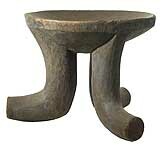 Despite their appearance, we believe that these stools were made to be sold.